Charlize Theron stakes a claim to “action star” status with 2017’s Atomic Blonde. Set in 1989, KGB agent Yuri Bakhtin (Jóhannes Jóhannesson) kills British MI6 agent James Gascoigne (Sam Hargrave) and steals a secret list that includes the identities of all the spies currently in the Soviet Union. To resolve this situation, the Brits send ace agent Lorraine Broughton (Theron) to Berlin. There she pairs with her contact David Percival (James McAvoy) to retrieve the list and also assassinate a double agent known as “Satchel”. Going into Blonde, I had it in my head that Theron had starred in a mix of action films ala this one. I must’ve confused her with Angelina Jolie, for while Theron has dabbled in the genre via efforts like Mad Max: Fury Road and Fate of the Furious, she’s not embraced this sort of role to the degree I thought. In truth, Agent Broughton seems like a part written for Jolie, the only woman to achieve consistent success as an action hero. While Theron seems fine in the part, I can’t help but think she lacks the steely attitude that Jolie lends to this kind of film. That said, Theron seems more than competent as the lead, and I can’t fault her for whatever failings I find in Blonde - and I do feel the movie lacks a lot to make it land with real impact. The film occasionally kicks to life, but it never ignites in a consistent way. Some of that comes from the emphasis on style – especially as it regards to music. Director David Leitch packs the film with period songs, and Blonde occasionally – often? – feels like a collection of violent music videos. The 80s kid in me feels semi-annoyed by some of the choices, as Blonde favors an odd early 1980s theme. With tracks like David Bowie’s “Cat People”, Peter Schilling’s “Major Tom” and Nena’s “99 Luftballons”, the film seems mired in tracks that don’t represent 1989 well – a few exceptions like George Michael’s “Father Figure” connect better with the right era, but too much of the flick opts for “dated” tunes. As I write this, I’ve not listened to the disc’s commentary, so maybe Leitch explains these semi-anachronistic choices. As I watch the movie, though, I don’t get them. It feels like Leitch opted for an idea of a generic 80s rather than an accurate depiction of 1989. Perhaps if I invested more in the story and action of Blonde, I wouldn’t feel as irritated by the lack of period accuracy. However, the movie fails to turn into a consistent winner. As mentioned earlier, the film often leans toward “violent music video” territory, and I admit some of these sequences add spark to the proceedings. Leitch brings enough style and power to the action moments to make them reasonably satisfying. Unfortunately, these can’t redeem the tedious story, a narrative packed with rehashed spy dealings that Leitch can’t develop in a satisfying manner. As a director, he shows his roots – his long career as a stunt coordinator allows him to connect with the fights and violence but he seems ill-equipped to develop a plot and characters. At its worst, Blonde remains a professional affair, and it can occasionally entertain. However, it lacks the story depth it needs to turn into anything more than an erratic collection of action scenes. 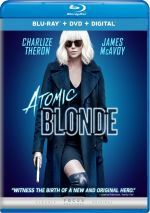 Atomic Blonde appears in an aspect ratio of approximately 2.40:1 on this Blu-ray Disc. As expected, the film boasted an excellent visual presentation. At all times, sharpness worked well. The movie offered strong clarity, with well-defined elements and nary a sliver of softness to be found. The image lacked moiré effects or jagged edges, and it also failed to display any edge haloes. Print flaws failed to mar the presentation. Though Blonde went with some of the typical orange and teal, its highly-stylized palette went down other paths as well. This meant instances of heavy blues, greens and reds along with orange/teal. These came across as desired, with dominant tones that remained well-rendered. Blacks showed nice depth and range, while low—light shots boasted fine clarity and delineation. Everything about the image worked well. In addition, the film’s DTS-X soundtrack packed a punch. 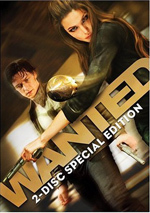 Downcnverted to DTS-HD MA 7.1, the mix used music as an active participant and also kicked into higher gear during its many action sequences. Those came across with a lot of involvement. Gunfire, explosions, various vehicles and other violent elements filled the channels. They showed terrific localization and blended smoothly, with material that veered from one channel to another in a natural manner. Audio quality excelled as well, with music that appeared vivid and full. Speech seemed concise and distinctive, and the lines lacked edginess or other issues. Of course, effects stood out the most, and those elements demonstrated fine reproduction. They showed good accuracy and range, with tight, bold low-end when necessary. I felt highly satisfied with this excellent soundtrack. The movie comes with a mix of extras, and these start with an audio commentary from director David Leitch and editor Elisabet Ronaldsdottir. Both sit together for this running, screen-specific look at story/characters and editing, stunts and action, cast and performances, sets, locations and period details, music, and connected areas. At its best, this becomes a decent chat, with a mix of insights about the filmmaking processes. However, Leitch and Ronaldsdottir devote vast amounts of commentary to praise for the film and all involved. Those moments get tiresome and make this a mediocre track. Six Deleted/Extended Scenes fill a total of seven minutes, 23 seconds. These tend to expand characters in a moderate manner. They’re not bad, but they don’t add a lot. A few featurettes follow, and Welcome to Berlin lasts four minutes, 33 seconds. It includes notes from Leitch, co-producer Antony Johnston, production designer David Scheunemann, executive producer Nick Meyer, unit production manager Ethan Smith, producer Kelly McCormick, and actors James McAvoy, James Faulkner, Bill Skarsgard, Sofia Boutella, and Charlize Theron. The show looks at Berlin circa 1989 and its depiction in the movie. This becomes a quick but decent view of the subject matter, though I’d like more detail about the challenges involved. With the seven-minute, one-second Blondes Have More Gun, we hear from Theron, Leitch, McAvoy, Smith, Boutella, precision driver Andrew Comrie-Picard, and actor Sam Hargrave. “Gun” covers Theron’s performance, with an emphasis on her stunt work. Like “Berlin”, this one adds some good material but it tends to be a little fluffy. Next comes Spymaster, a four-minute, 18-second reel with Leitch, Theron, McAvoy, Boutella, McCormick, Smith, Johnston, Hargrave, Faulkner, producer Eric Gitter, and actors Eddie Marsan and John Goodman. This piece focuses on Leitch’s impact on the production. Once more, we get a mix of nice insights and happy talk. Anatomy of a Fight Scene runs seven minutes, 52 seconds and offers info from Leitch. He offers commentary as he takes us through one particular movie sequence. Leitch brings a few good thoughts but doesn’t deliver an especially meaty overview. Finally, Story in Motion breaks into two segments: “Agent Broughton” (2:16) and “The Chase” (1:38). These offer animated versions of storyboards that let us see the pre-planning for the two scenes. They’re a short but fun addition. The “Story” clips can be viewed with or without commentary from Leitch. He tells us some details about the scenes and the footage. Leitch throws out a few worthwhile notes. The disc opens with ads for Darkest Hour, Cult of Chucky, Logan Lucky and Kidnap. Previews adds promos for The Mummy (2017), Lucy, The Zookeeper’s Wife, Dallas Buyers Club, Nocturnal Animals and The Beguiled. No trailer for Blonde appears here. A second disc provides a DVD copy of Blonde. 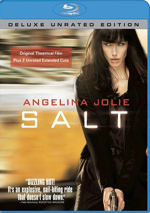 It includes the same extras as the Blu-ray. A hyper-stylized affair, Atomic Blonde provides decent entertainment when it focuses on action. Unfortunately, its story and character moments prove much less effective, and these leave it as nothing more than an occasional pleasure. The Blu-ray boasts excellent picture and audio along with a decent selection of bonus features. Blonde becomes a spotty action flick.